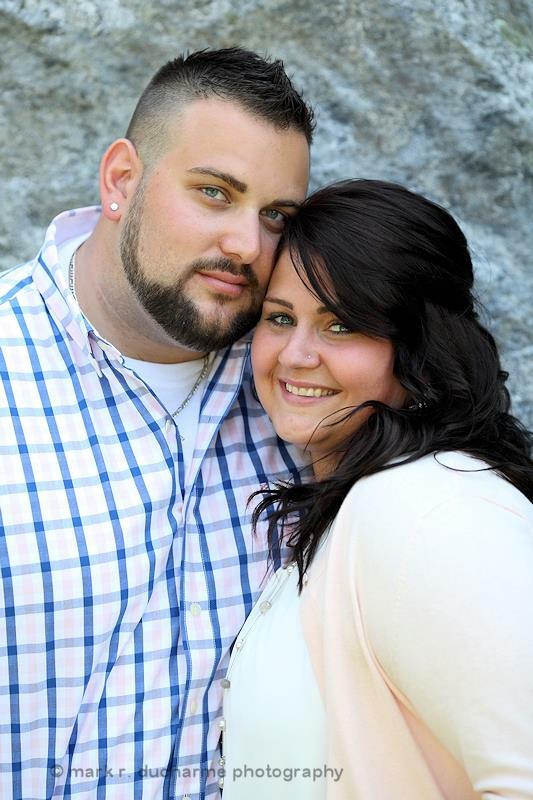 Josh & Danielle were in Pelham today on a great afternoon to take advantage of their complimentary engagement shoot. A really fun couple and Danielle a sibling to a bride I shot a few years back now. Great football fans they definitely made a 'touchdown' in love with each other. More preview photos coming tomorrow. Looking forward to capturing their wedding in 2016! ...And 2 become 3...Jason & Erin (& Ollie) were married today on a very warm but gorgeous spring day in South Berwick, Maine. Several years ago I had the fun and pleasure of capturing Jason's older sisters Angela's wedding and it's always great when families come back to me for their wedding photography so for that I am thankful for. You could not have asked for a nicer couple than Erin & Jason...very great people to work with and I wish them the best of luck in their years together as husband and wife and as a new family. Their first official dance as a married couple but not their last I am sure..Jennifer and Tom wed today in Salem, NH and then celebrated the evening away in Haverhill, MA. Congratulations and best wishes to them both!